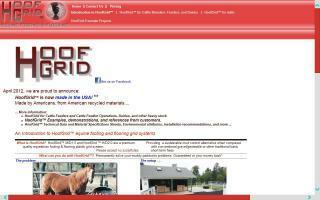 Horse Stall Mats Directory - O Horse! 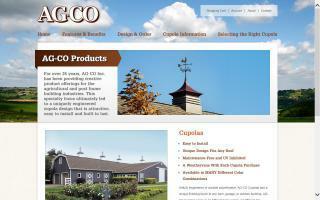 Horse stalls, stall flooring, feeding options, and cupolas. Find it all on the AG-CO website. We are dedicated to providing the hobby-farm industry with high quality, affordable products. We're committed to customer service and product customization. 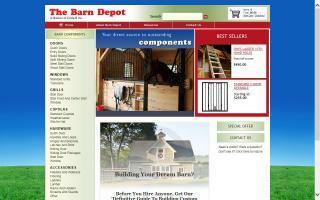 Barn Depot Inc. is a well established and highly respected component company serving the equine community. Our own weld and wood shop on the premises allows for greater flexibility should you need custom weld or wood products. Barn Depot Inc. is the direct source and distributor of the components found in Circle B Barn Co. barns, arenas, and garages. Circle B has been building barns and arenas in the New England area for over 15 years. Now the custom components used in Circle B barns are available for your project at direct source prices. Additionally, barn kits and arena kits are available and shipped within the United States and Canada. Whether you are building your dream barn or are a builder looking to meet your customer specification at a reasonable price, you will find what you need at Barn Depot. 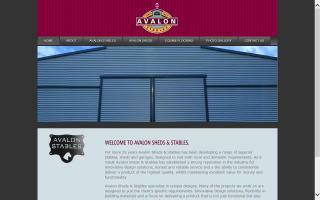 Please take some time to browse our website for easy access to all the products we can provide for your new stable or an older structure needing some updates. 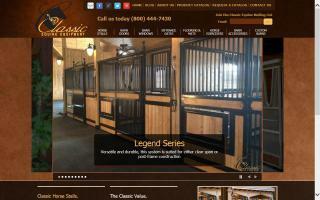 For 20+ years, Classic Equine has been an industry leader in horse stalls and stable equipment. We have expanded our product lines and welcome our newest addition - the FullStride horse treadmill. Horse stalls made of steel. Galvanized, aluminum, and portable stall systems plus horse equipment with free shipping by Horse Stalls.com. We manufacture a wide variety of farm and ranch products and sell factory direct. Rubber flooring - mats, pavers, stall systems, stall gates, and rubber footing. Our Westminster, MD, warehouse/showroom is open Mon - Sat by appt to help you with your stable needs. Most products in stock. Some are built to custom order. 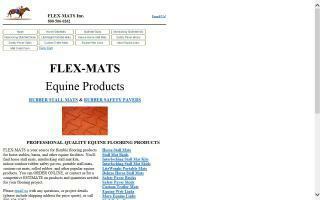 Stall mats and flexible rubber pavers for horse and ranch from FLEX-MATS Equine Products designed for comfort, safety, durability, and easy maintenance. The original equestrian flooring grid system. Proven through decades of use in Europe, discover what all the imitators are attempting to copy. Patented, 100% interconnecting permeable grids disperse weight over entire paddock, pen, turnout or arena. 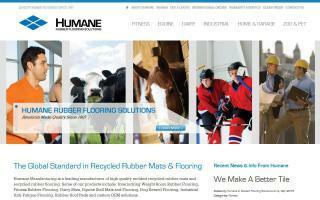 Rubber mats and interlocking rubber flooring from Humane Manufacturing.